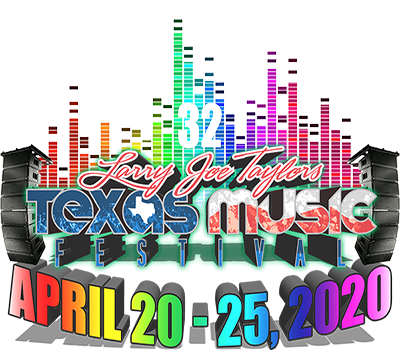 After you purchase your stage seating package you will receive ticket(s) via USPS mailing out around the 2nd week of March. You will use these tickets for admission into the festival. You will need to pick up your packet once inside the festival grounds at the Merchandise Building. 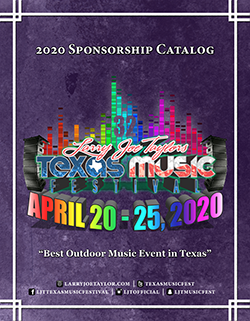 Laminates will be included in each packet that you will use to get in backstage and have access to the VIP tent, backstage restaurant, bar, and on stage to the stage seating area. The backstage area will open one hour prior to the first act on stage and food will be served from 5 pm - 10 pm. The Grove VIP is a secluded electric & water camping are now available with the purchase of 2 or more VIP stage seats or any sponsorship package. This new area will be located behind the Bud Light stage with private access to the area. These will be able to accommodate RV’s up to 45’ in length and each site is a spacious 30’ wide. These sites will only be available to VIP customers and sponsors that have stage seats. Includes camping for Monday, April 22nd through Saturday, April 27th. VIP campsite holders will also be able to have RV’s delivered and set up set up on or after April 12th, ten days before the event. Must purchase at least two VIP seats or any sponsorship package to purchase a The Grove VIP campsite. Each person staying in The Grove Vip campsite must have a laminate to access to the back stage area. 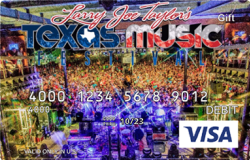 Limited time offer on customized LJT Fest prepaid Visa card. We know a lot of our sponsors & VIP like to have everything paid for before they or their customers arrive so this year we are offering a discounted Visa card that can be used at any of the VIP bars, T-birds bars, Merch booth or anywhere that accepts Visa cards. So we have put together 4 packages for these pre-paid cards.